This is it. This is the best curry I have ever tastest. The narrow-fronted McCain’s can be found wedged between bars and shops in the busy Tito’s Lane in Baga, north Goa. It’s so unassuming it would be easy to miss (one person who’s been visiting the area for years and was staying within metres of McCain’s had never heard of it). It’s a simple fast-food style joint with benches and stools along both walls, while at the back, behind a glass screen, hang skewers of bright red, marinated tandoori, while other staff beaver away over the tawas. It’s always packed. Service is superb and no matter how full it seems to be a bit of space and seats appear magically as soon as the staff see you enter. Why a swankier restaurant has not snapped up the staff, some of whom have been here a fair while, is a mystery. Kolhapuri is a dish that comes from the city of Kolhapur to the north of Goa in Maharashtra, so it’s not a local dish, but it’s certainly a favourite in this tiny Indian state. Most recipes include coconut and there is often a giant chilli glistening away in the sauce. 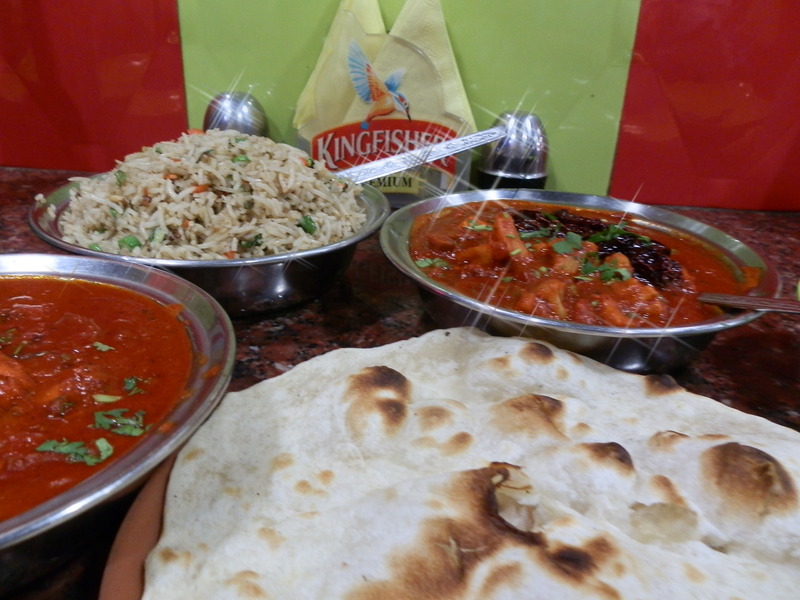 It’s a rich, hot and vibrantly coloured dish that is hard to stop eating, even when your stomach has had enough. The Chicken Kolhapuri (Rs 120) certainly can’t be faulted, with the perfectly cooked chunks of off-the-bone meat, but this is really best as a vegetable dish. People of a certain age would text their friends ‘OMG’ at the first mouthful. As hot as a Vindaloo, as moreish as Tikka Masala, and as fresh as a Balti, the Vegetable Kolhapuri (Rs 100) is a dish that has it all. Packed with potato, cauliflower, carrots, beans and paneer, I was soon piling up huge spoonfuls of the tasty, onion and tomato gravy onto the Mushroom rice (Rs 100) and tucking in. If you’re a mopper-upper type of eater then rotis come in at Rs 10. Either way, you will eat it and want more. McCain’s Fast Food, Tito’s Lane, Baga, Goa 403 516, India. Tel: +91 9823 196848. Open: till 7am in season.